ProgRama is happy to inform you that after hurricane Irma, we are fully back on track. 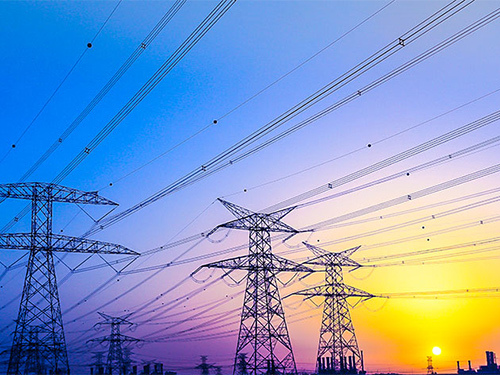 All the electricity and phone lines have been restored and our computer system can process orders and customer request as it was before. None of our family members or employees got hurt during this extreme weather condition. 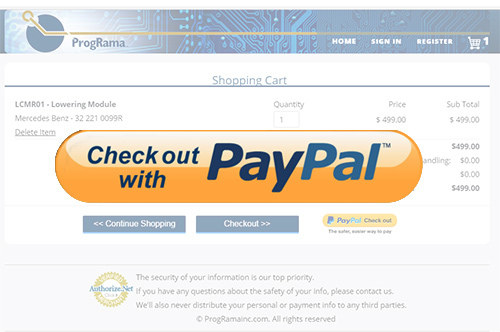 In order to make online shopping easier, ProgRama Inc will accept Paypal payments at our website. 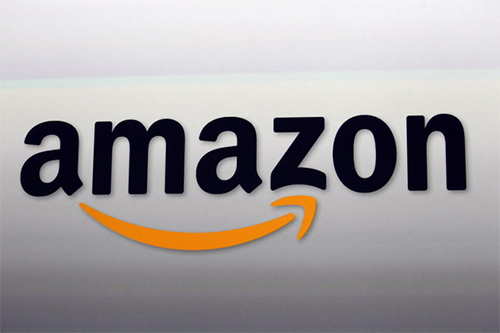 We are proud to announce that ProgRama and Golframa were rewarded with the Premium Shipping Option by Amazon. Premium Shipping provides fast shipping options that require high delivery performance standards from sellers to offer them. 2015 Mercedes E400 makes humming noise after turning off the engine. Luckily nothing is wrong with the car, it comes from normal operation. 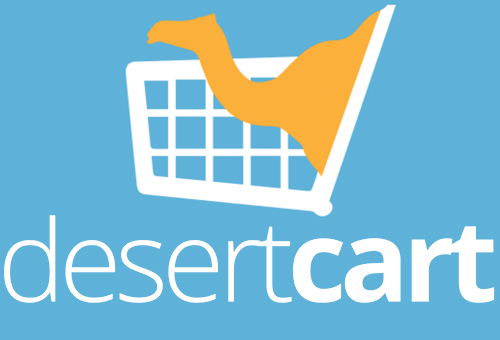 ProgRama Inc., is pleased to announce that its Remanufactured European Automotive and Golf Cart products are now available for purchase in Dubai, United Arab Emirates. 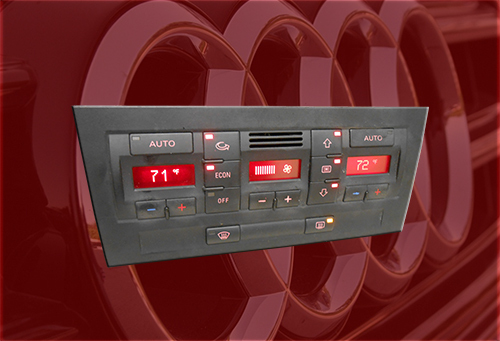 A new Audi Climate Control Unit was released for repair service. Any electrical or display related problems will be professionally repaired with warranty. Please call our sales team for further processing at 866-961-7362. 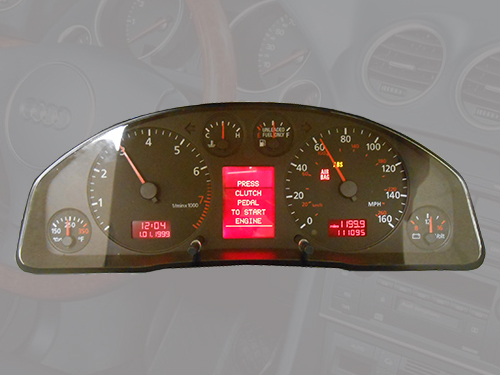 ProgRama Inc. has just released a new Audi instrument cluster for repair service only. We repair any electrical or display related problems with warranty. Please call our sales team for further processing. CORES NEEDED, WE PAY TOP $$$!! 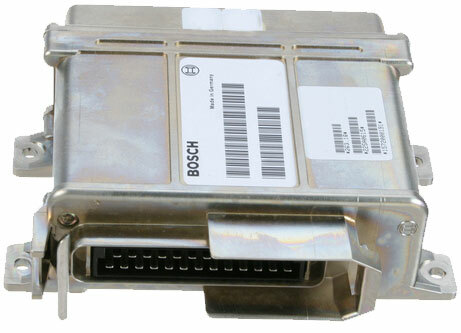 We are looking to buy in quantity the following defective, rebuildable control units. This product was newly released for R&R service only. 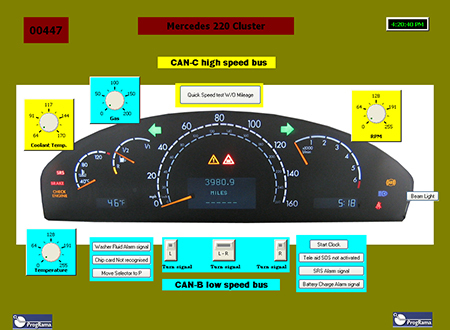 Main part numbers are 001500158 and 0001500258. 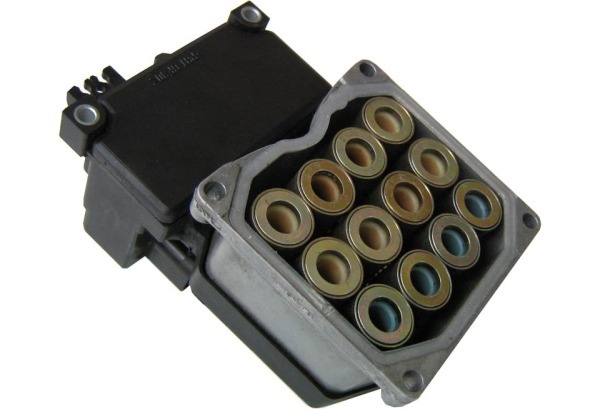 The module is part of the V12 M275 engine's ignition control circuit by providing the necessary 180V, 23V and 12V. It is located on the top of the engine, giving easy access for removal in case of any malfunctioning. This is a critical high voltage component of the car. 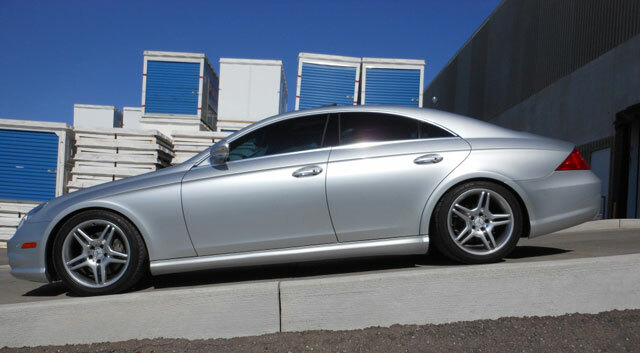 A customer of ours, over at mbworld, has just written a great testimonial on how well our lowering module installed into his new Mercedes CLS 550. If you are interested in this module you should check this article out. 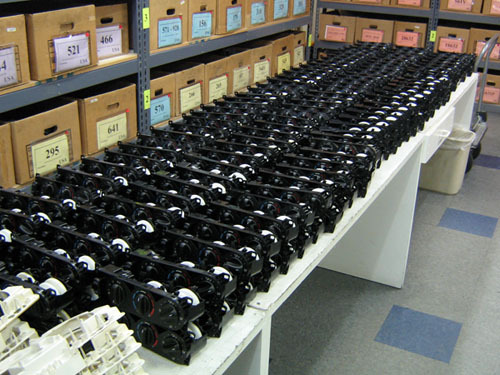 Do you have cores sitting around your stockroom collecting dust? Why not turn those cores into CASH! ProgRama Inc has been recognized as the industry leader in repairing and remanufacturing electronic parts for European cars. 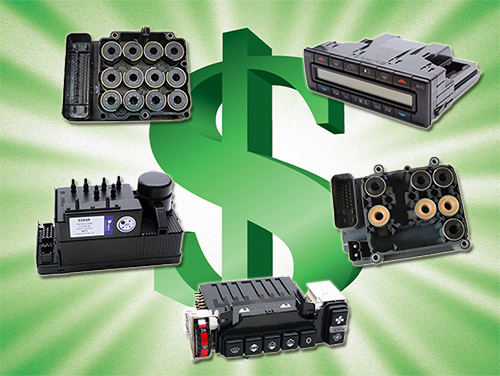 Genuine ProgRama remanufactured parts come with a 3-Year warranty. 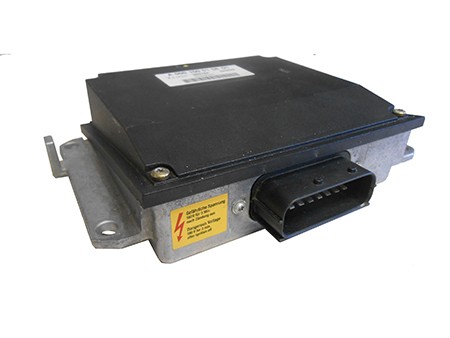 Volvo Ignition Control Unit (1986-1991) has been released by ProgRama Inc. for Repair & Return services and wholesale distribution. This newly introduced fully tested product comes with a 3 year manufacturers warranty. We will pay you CASH for your CORES! 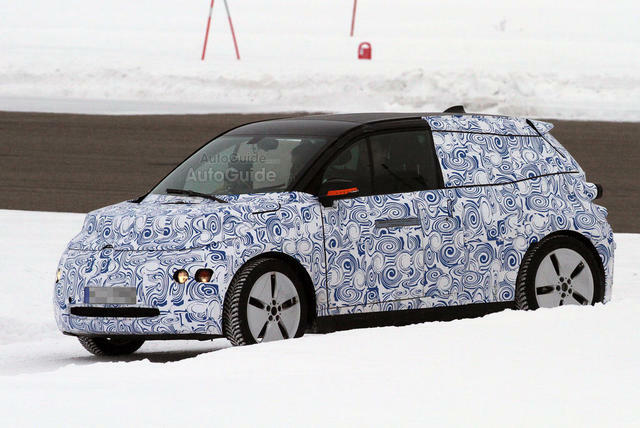 The BMW i3 concept has been around for some time, but now we can speculate that BMW must be close to having a production car on their hands. 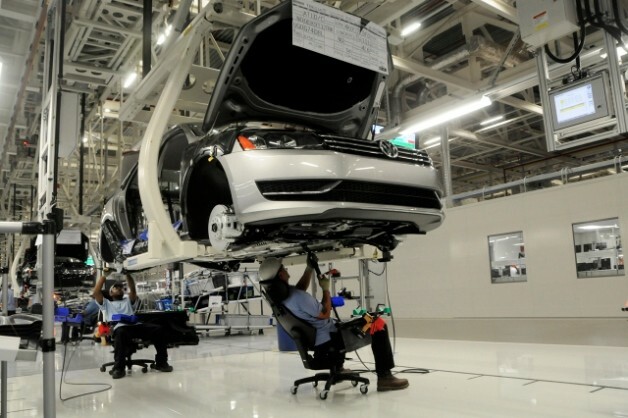 Some sectors and businesses have been more resilient than others to the economic crisis. But has the recession actually been a driver of growth for any? 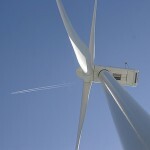 Apparently so – and they’re fast gaining investor attention, emerging as the ultimate recession-busting cleantech investment. First, let's put some salient numbers on the table: 5.5 million versus 2.7 million and $67.14 per hour versus $33.77 per hour. It's getting darn near impossible for automakers to keep their latest wares hidden from view until they are good and ready to show them. 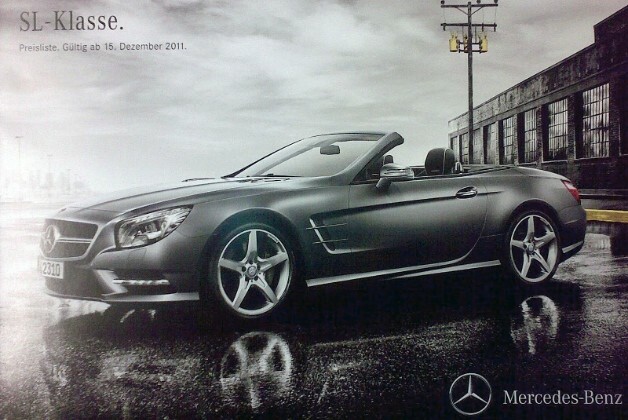 Such is the case with Mercedes-Benz, who's latest SL has leaked to the internet courtesy of the crew at Autoblog.nl. While BMW (and by relation, Mini) have been pioneering in-car connectivity for the last few years, Hyundai is still playing catch-up. 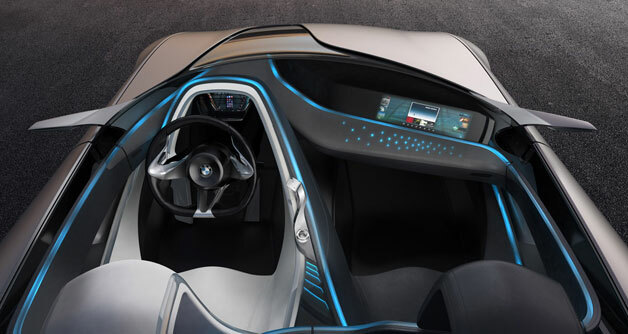 The Korean automaker's focus has been squarely set on bringing world-beating products to market, but consumer demand for infotainment systems isn't abating. With alternative powertrains staking a larger claim in the mainstream, it's simply a matter of time before automakers begin adapting the technology for performance applications. 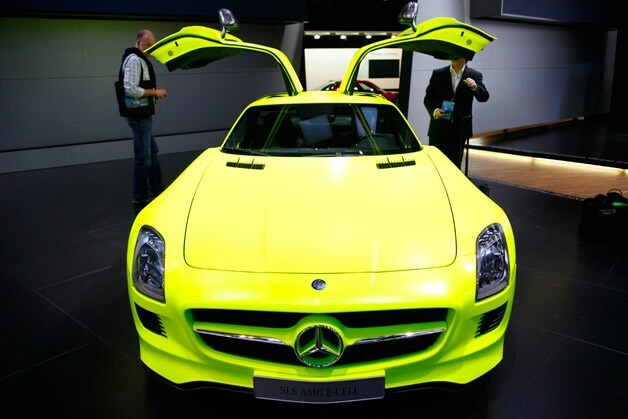 The in-house tuning division of Mercedes-Benz won't be left behind, and we'll see the first all-electric AMG product by the end of next year.